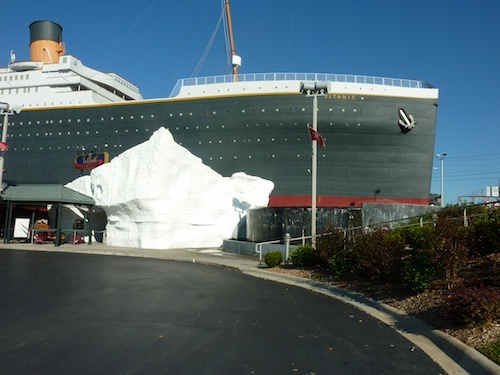 Consider Ozark Missouri accomodations when vacationing in Springfield or Branson MO. 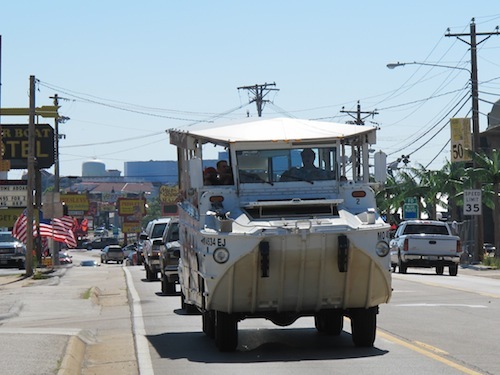 It’s a great alternative to the bumper to bumper traffic of Branson. Stay away from the chaos and find family friendly dining. Accomodations are affordable and the easy access to Branson make your stay in Ozark a better choice. Comfort Inn, Ozark matches the same high standards as I see at all Comfort Inns. Free internet and breakfast. Pet friendly. Ozark is known for antiques, some stores are within walking distance of the hotel. If you travel regularly, investigate their hotel rewars program. Choice Privileges can easily add up to free hotel room nights. Details: Comfort Inn, 132 1900 West Evangel Street, Ozark, MO 65721. 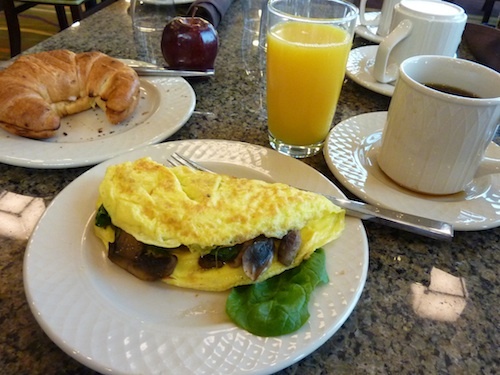 You may remember our review of Hilton Garden Inn in southernmost Springfield, Missouri. Just 8.5 miles from Ozark, in Springfield, Missouri, this is Springfield’s newest green hotel. Heather Hill Farms Osceola Cheese is a combination gift shop and cheese store. 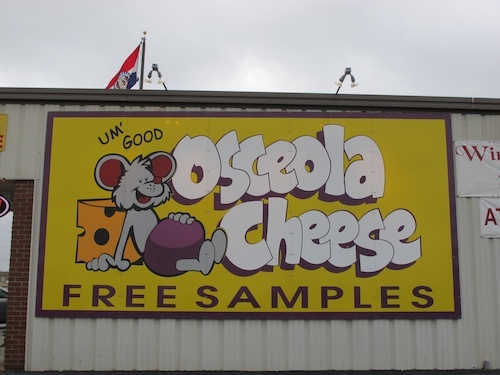 Like the famous Osceola Cheese Store in Osceola, Missouri, Heather Hill Farms is a “must-stop” for travelers. Gather some cheese, sausage and crackers for a picnic or, stock up on your cheese favorites on the way home. Sample from a large selection of wines. You can also find a big selection of Amish Country Popcorn. 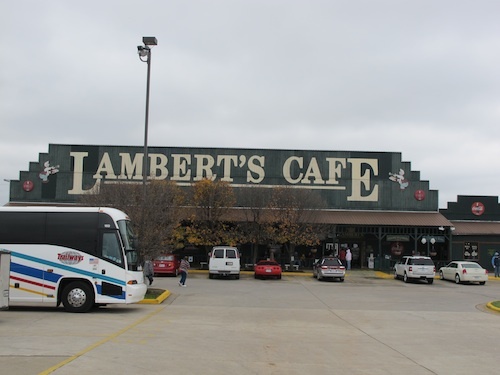 If you’ve never eaten at Lambert’s Cafe, it may surprise you to see a cafe that is big enough to accommodate bus loads of diners. Don’t let that scare you away, this big restaurant and the experienced staff can serve everyone easily. Known most famously, for throwing their homemade dinner rolls to the customers. Enjoy county cooking in massive quantities. The Details: 1800 W. State Hwy J, Ozark, MO 65721. Lamberts is open everyday-7 Days a week, from 10:30 until Slow (9:00) p.m. Lamberts II is located between Springfield and Branson Missouri on the corner of Highway 65 and CC. Shakes are fresh made with any flavor ice cream you choose. Just choose one that you can drink through a straw or ask for a spoon. Photo PBH. Stop by the Braums in Ozark for breakfast. Enjoy a Breakfast burrito filled with fresh scrambled eggs, country sausage, mounds of Pepper Jack Cheese on a warm tortilla Or, try biscuits and gravy, a biscuit sandwich or, oatmeal with brown sugar topping. The details: 1880 James River Road, Ozark, MO 65720 Phone No: 417-485-0086. All Braum’s stores are open 7 days a week; Sunday through Thursday from 6:00am – 10:30pm, and Friday and Saturday from 6:00am – 11:00pm. The town of Ozark is a bedroom community of Springfield, Missouri Metropolitan Area, and is centered along a business loop of U.S. Route 65, where it intersects with Missouri Route 14. Ozark is south of Springfield and north of Branson.